To a large extent caused by the raising of expectations through new technology, life today is lived at a faster pace than ever before. How often have we sat at a new PC, Mac or mobile and been in awe of the speed, for only a few weeks later to become exasperated by its slowness, not necessarily because it is slow but because our mind is simply reacting faster. Our expectation is to have required information presented within a couple of seconds and displayed, in a fashion, that the information can be interpreted in 5 or 6 seconds more. This is not new, it has been known in mapping circles for some time that a map user expects to identify their position and sought-after location within 8 seconds. The ability to meet the 8 second rule is substantially affected by mapping style. The more the user can relate the map to their surroundings, the quicker the interpretation process can begin. The ability to relate the map to one’s surroundings is why those drawn on an axonometric plane, commonly known as 3D, prove popular. Again this isn’t new; the Copperplate map engraved by Martin Van Valkenborgh circa 1556 alongside is thought to be the first printed map of London and is in this style. You will notice on the map the men practising their longbow skills which then was compulsory. Whether a traditional ‘2D’ or ‘3D’ map, it should be drawn with respect to an industry that has existed for hundreds of years. Silvermaze in developing styles has always adhered to this principle, the Sunday Independent Magazine nominated our London Mayfair map “the finest example of 21st century 3D mapping”. 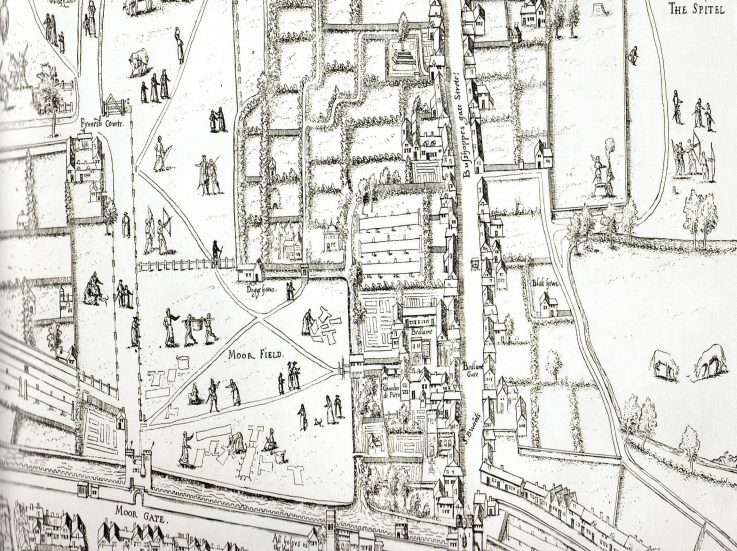 It was one of the 150 maps selected to appear in Simon Foxell’s anthology Mapping London – Making Sense of the City that covered 600 years of London Mapping. 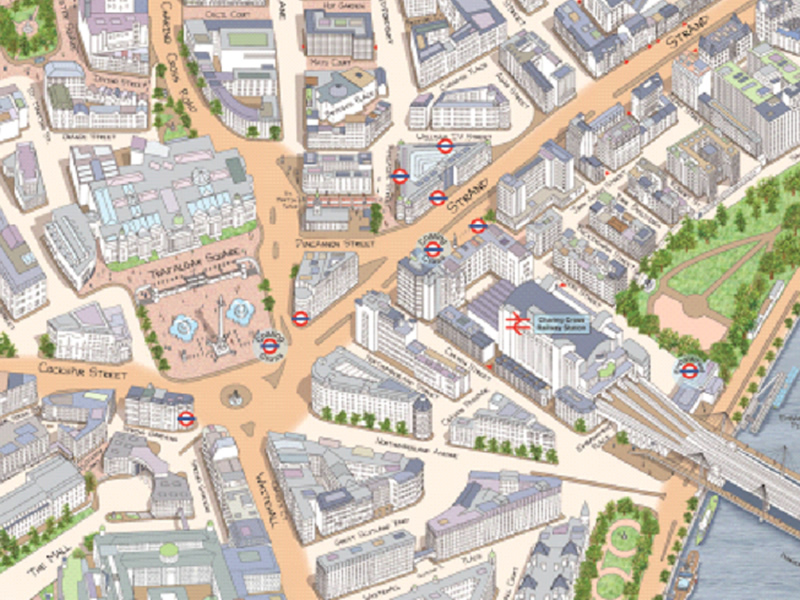 The Covent Garden map, also drawn in our ‘3D’ Modern style, which can be seen in our website gallery, was commended by the Metropolitan Police, a large and experienced map user, for its “accuracy, detail and ease of interpretation”. “Ease of interpretation” is fundamental to the 8 second rule! By relating the map to the user’s surroundings ‘3D’ mapping crosses all language barriers. Two people, by their own admission, had no map reading skills and little sense of direction visited Edinburgh using my 3D map, they parked their car, marked it on the map, visited the castle, had lunch, went shopping and very proud of themselves, returned to their car. The style of mapping is though just one element in the 8-second goal, it must be accurately detailed, it needs to be clear, well designated, easily crossed referenced and welcoming. Over the years the comment that we have heard the most is “your maps make me want to visit” essential from a tourism perspective. We at Silvermaze offer a ‘one map fits all’ and ‘one stop shop service’. 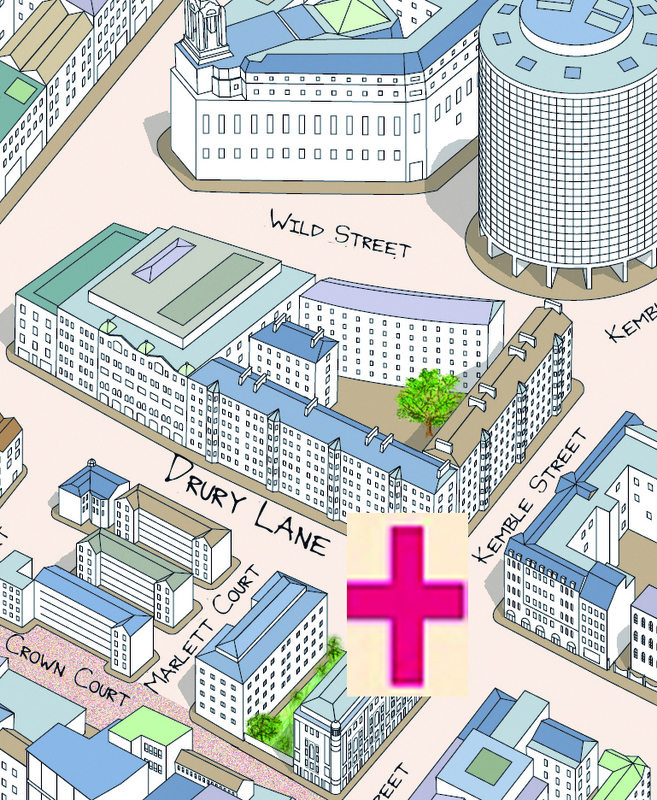 Our created map will suit virtually any use as will from mobile phone to signage. Our Little Book is smaller than an iPhone, reads like a book, opens like a map is small in size yet huge in content. Simply identify the street you are in, take the map from your top pocket, open, flip up the map (no need to turn the map over) find your street and the place you want together with their map references in the street index, flip the map down locate the map references. Sub the 8-seconds I should think! Please visit our website gallery to view the many testimonials that accompany the map images, albeit reading those will take longer than 8 seconds.